The worlds fastest man was floating with the idea of playing football professionally for quite a long time after retiring from his sprinting career and now Bolt will actually be seen donning the football boots. 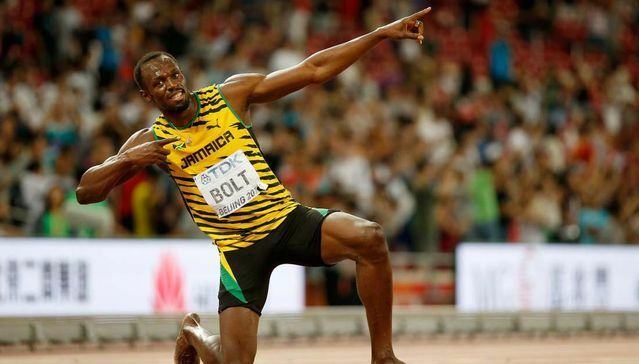 Bolt, 31, retired from athletics last summer after a glittering running career in which he won eight Olympic gold medals and holds world records in 100 m and 200 m. Back in 2016, Bolt had frequently hinted at a career as a footballer stating that he would like to join Manchester United - the Club he supports. Earlier in the year, while speaking to Daily Express Bolt had revealed plans of trials with Dortmund, "In March we're going to do a trials with Dortmund and that will determine what I do with that career, which way it goes. If they say I'm good, and that I need a bit of training, I'll do it." On Sunday (25th Feb), Usain Bolt teased that he had signed for a football club, making the announcement on Twitter, although he did not reveal the club he had signed for, he asked his fans to wait till Tuesday (27th Feb). A South African top division club soon came up with a sly tweet stating "Football will never be the same". Soon enough the football frenzied world started linking the world's fastest man to the south African club. However in the recent tweet by the Jamaican Legend things has cleared out a bit. So apparently Usain Bolt is donning the football boots but only for a game as he will lead Soccer Aid World XI against England XI in a charity game for UNICEF. The match will be held on 10th June at Old Trafford and while Usain Bolt's wish for signing for his favorite football club Manchester United may have to wait, nobody is stopping him from dazzling the world with a ball at his feet on the red devils home ground.